Baby boomer golfers, constitute between 10 and 15% of the 78 million baby boomers... The number of baby boomers playing golf will surely jump when the economy improves... And sooner or later the economy will improve. Although the overall number of golfers is down 13% in the last five years... Retiring baby boomers with more time on their hands will be playing golf. As baby boomers tend to become more and more active, more will gravitate to age restricted communities that includes golf facilities. However, because of the recent erosion of pension funds and retirement accounts... The growth segment of baby boomers playing golf will not be country club or very high-end facilities. 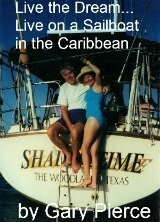 Number one, since I am an avid golfer this page will link to golf related sites that are of particular interest to golfers over 50... Also as it is no big secret that aches and pains are a fact of life with aging... Much emphasis will be placed on how to keep the baby boomer golfer physically able to play. As a chronic lower back pain sufferer I am acutely aware of the need for proper physical exercise...and torso-based stretching... That is of course if you want to continue playing. I have developed an exercise and stretching routine that keeps me on the golf course without lower back pain. When we lived on a sailboat, I probably played 10 rounds in eight years... Guess what? no lower back pain. Once I started playing again in 2004, the semi annual episodes where I could barely walk for a week returned. That is proof in itself, that at least in my case, my lower back pain is directly related to golf... Our poor backs just not made for all that turning and twisting. However in the knock on wood department... With my new exercise and stretching routine... Which I will share with you... Has kept me free from lower back pain for the last three years. This site is all about frugal retirement living, so you the reader will be provided with tips on how I keep my golf budget to a minimum. This is what our second car looks like... And something that more and more baby boomer golfers will be acquiring. 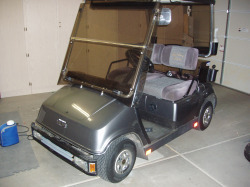 This is an electric golf cart, 48 V system, that puts out zero harmful omissions... Gas powered carts in our community...Sun City Grand are not allowed for this reason and the noise they make. This particular model will go about 23 miles an hour, and is street legal for all streets in our community, all of which have speed limits of 25 or 35 mph. You can also cross streets that have speed limits of 45 miles an hour, which makes traveling to adjacent communities... Grocery stores, hospitals and the like easily done in a golf cart. 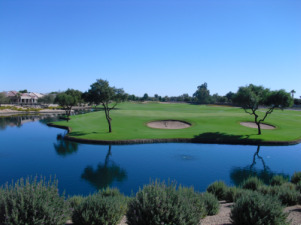 We have four well-maintained golf courses in our community... And almost all master-planned 55+ communities have at least one course... At least in Arizona. I purchase an annual golf pass, and then depending upon the season I pay for each round I play $8, $11, or $18, the summer is the lowest and the prime winter months are the highest...at 100 rounds a year I figured that my golf cost me around $26 a round. It is not country club golf, which I was used to while working as a commercial real estate broker in Houston, but country club living is not as important as it used to be... I'd much rather be a baby boomer golfer, and not have to work, then have to work to support my country club lifestyle with all the attendant trappings such as new cars, new golf clothes, new clubs every year, etc. The golfing baby boomer will be looking for an able to find bargains in equipment and also green fees, it just takes a little digging. Baby boomer golfers are going to be an increasingly larger portion of the total golfing population. Courses are going to be designed, with the senior golfer in mind, not the 7500 yard monstrosities, we see on the PGA tour... For instance the slope rating of the four courses where I live range between 116 and 125... With the average yardage around 6300 yards... Just enough to be challenging but not backbreaking. And when it is time (next week? ), I'll move up to the yellow tees. The golfing baby boomer is here to stay.